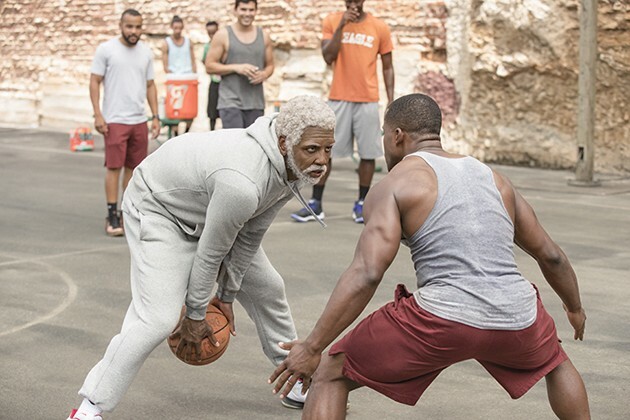 “Uncle Drew” is the kind of movie we have all come to expect from a Hollywood comedy. 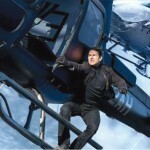 Though the purpose of the film is just to entertain, I don’t think it succeeds at what it sets out to do. Now and then a joke may land, but it needs a lot more to make the movie work. It begins by relating the back story of Uncle Drew (played by Kyrie Irving) and how he used to be the best basketball player of his day. He and his team were expected to win the Rucker Classic, a street ball tournament in New York. But due to a conflict, the team broke up. Uncle Drew and his team have since become legend among the street ball scene. Many years later, Dax (Lil Rel Howery) is the coach of a team that has entered the Rucker Classic. The winners receive a prize of $50,000. Since Dax spent his life savings to enter the tournament, he needs to win. Dax appears to be a shoe-in though for the prize because of his star player, Casper Jones (Aaron Gordon). However, long time rival, Mookie (Nick Kroll), swoops in and steals his team, girlfriend — and dignity. Dax is left broke and without a team. While searching for a new team, Dax hears from Angelo (J.B. Smoove), a barber, about where he can find Uncle Drew. Though he is old, Uncle Drew turns out to still be an exceptional basketball player. After some convincing, he decides to join Dax’s team, under the condition that he gets to recruit his teammates. Dax and Drew head off across the country to recruit their team including: Big Fella (Shaquille O’Neal), Preacher (Chris Webber), Lights (Reggie Miller), Boots (Nate Robinson), and Betty Lou (Lisa Leslie). With the team gathered, they head back to New York to compete in the Rucker Classic. I knew I wasn’t going to see a compelling sports drama like “Rocky” when I watched “Uncle Drew.” Since I wasn’t excited to see it, I knew my expectations were low. Yet, if you can overlook all the cringey moments, predictable storytelling, and terrible cinematography, you could have an enjoyable time. The movie had many faults, too many to list here, and I don’t plan on watching it again. Hollywood and the NBA joining forces isn’t as exciting as it sounds anymore. 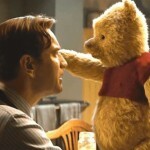 If there is any redeeming factor of the movie it is the performances. Retired basketball players turned actors wasn’t half bad. A lot of them still had some game, which was cool to see. Shaquille O’Neal is always going to be a funny guy no matter the role, but I thought Kyrie as Uncle Drew did the best of any of them. I could actually see him acting in more movies once he retires from basketball. Hopefully, he chooses movies better than this one.